Starting in center field Sunday for Miami, Ichiro was the focal point of attention sitting on 2,999 career hits in Major League Baseball. 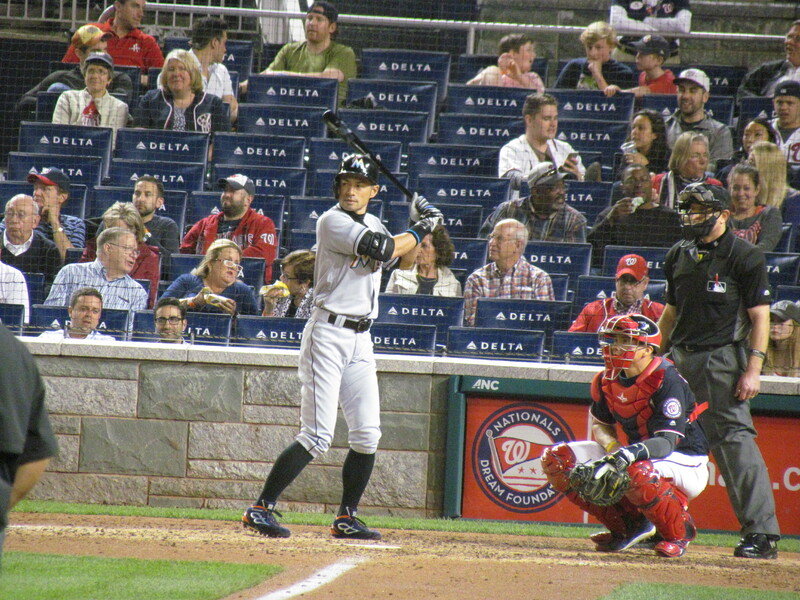 And with a seventh-inning triple off the right field wall, Ichiro became the 30th member of the 3,000 hit club. The longtime Seattle Mariner and brief New York Yankee has collected well over 4,000 hits in his professional career between MLB and Japan But for Major League records only his American hits count. Ichiro debuted in 2001 at 27 years, 162 days old. The average age of the other 29 members of the 3,000 hit club is 20 years, 215 days. Ichiro is just the second player ever to triple for his 3,000th hit–the other is Paul Molitor. He is also just the 4th player born outside the United States to attain 3,000 hits, and the first from Japan. Roberto Clemente, Rod Carew, and Rafael Palmeiro are the other three. At 42 years old, Ichiro has not hinted at retirement and shows no signs of slowing down. So here’s to 4,000!